Frank Miller Lumber > blog > Built to Last – How Durable Is Wood as a Construction Material? Built to Last – How Durable Is Wood as a Construction Material? Just how durable is wood as a construction material? Consider Hōryū-ji, the Temple of the Flourishing Law, in Ikaruga, Japan. Recognized by the United Nations as a World Heritage Site and a national treasure of Japan, Hōryū-ji was built in the year 711 as a Buddhist temple. It eventually came to be known as one of the Seven Great Temples. 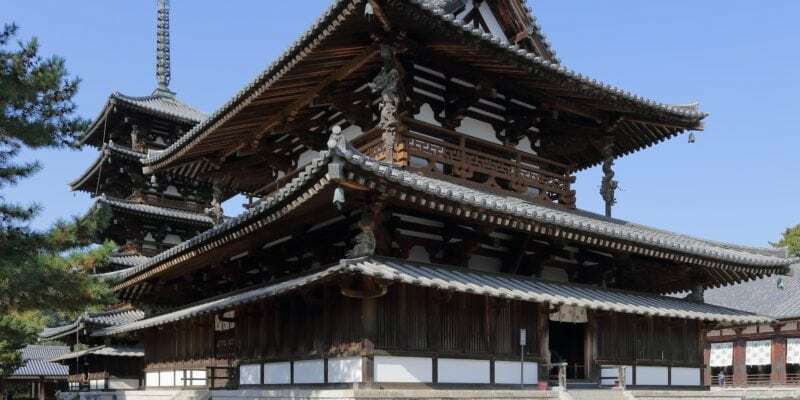 At over 1300 years old, the temple is one of the oldest surviving wooden buildings in the world. Hōryū-ji is an expanse of many wooden structures with some of the wood structural elements being considerably older than the overall finished complex. A five-story pagoda on the grounds includes a central wooden pillar that is believed to have been felled in the year 594. It is so old that a fragment of one of Buddha’s actual bones is believed to be enshrined at its base. The pure age of this beautiful structure is not the only testament to the durability of its wooden composition. Hōryū-ji is not just a piece of wooden history preserved in a climate controlled museum or protected in a glass case — it is a well-used, functional building. The temple has enjoyed continuous observance of Buddhist traditions for the last fourteen centuries. But it’s not just human wear and tear this beautiful wood building has tolerated — it is an ironman of environmental endurance as well. Since construction was completed, Hōryū-ji has survived at least 46 different earthquakes of magnitude 7.0 or greater. When you take into consideration that this was all accomplished without the aid of modern construction equipment, computerized engineering or advanced synthetic material treatments, it is hard not to be inspired by this wooden marvel. Wood is both a modern, high-tech, environmentally-friendly architectural construction material, and a proven building material of lasting strength, durability and beauty that is unrivaled by any other material on earth.